The possession of this skill enables you to persevere with your decisions and plans until you accomplish them. It also manifests as inner strength, helping you to overcome addictions, procrastination and laziness, and to follow through with whatever you do. One of its main characteristics is the ability to reject instant gratification and pleasure, in favor of some greater gain, which requires spending effort and time to get it. The ability not to give up, despite failure and setbacks. The ability to resist distractions or temptations. Trying over and again, until you accomplish what you set out to do. Life puts challenges and problems on the path to success and achievement, and in order to rise above them, you have to act with perseverance and persistence, and this of course, requires self-discipline. The possession of this skill leads to self-confidence and self esteem, and consequently, to happiness and satisfaction. On the other hand, lack of self discipline leads to failure, loss, health and relationships' problems, obesity, and to other problems. This skill is also useful for overcoming eating disorders, addictions, smoking, drinking and negative habits. You also need it to make yourself sit and study, exercise your body, develop new skills, and for self improvement, spiritual growth and meditation. 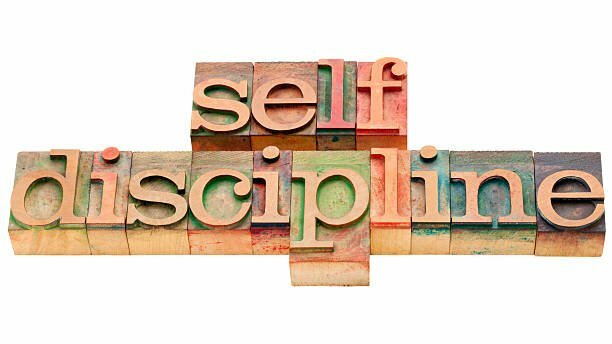 As said earlier, most people acknowledge the importance and benefits of self discipline, but very few take real steps to develop and strengthen it. However, you can strengthen this ability like any other skill. This is done through training and exercises, which can find at this website. Avoid acting rashly and on impulse. Fulfill promises you make to yourself and to others. Continue working on a project, even after the initial rush of enthusiasm has faded away. Go to the gym, walk or swim, even if your mind tells you to stay at home and watch TV. Continue working on your diet, and resisting the temptation of eating fattening foods. Overcome the habit of watching too much TV. Start reading a book, and read it to the last page. Understand its importance in your life. Become aware of your undisciplined behavior and its consequences. When this awareness increases, you will be more convinced of the need to make a change in your life. Make the effort to act and behave according to the decisions you make, regardless of laziness, the tendency to procrastinate, or the desire to give up and stop what you are doing. You can strengthen your self disciple, even if it is currently weak, with the help of special simple exercises, which you can practice at any time or place.